Posted July 11, 2013 by Josette Farrell in News. 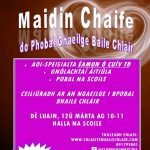 Tá dúshlán léitheoireachta Gaeilge speisialta á reáchtáil ag Gaeilge Locha Riach i gcomhar le Leabharlann Bhaile Locha Riach* mar chuid de Scéim Léitheoireachta an tSamhraidh 2013. Tá an dúshlán léitheoireachta Gaeilge seo dírithe ar na haoisghrúpaí 5–12 agus tá sé i gceist go ndéanfaidh na páistí ceithre leabhar a léamh i nGaeilge le linn na míonna Meitheamh, Iúil agus Lúnasa agus go ndéanfaidh siad léirmheas scríofa gearr maidir le gach leabhar a léifear. Is féidir leis na páistí is óige pictiúr bunaithe ar an scéal a tharraingt. Glacfar leis na léirmheasanna go dtí 31 Lúnasa 2013. 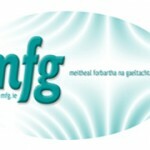 Tabharfaidh foireann na leabharlainne Foirm Léirmheasta amach le gach leabhar agus cuideoidh siad le páistí teacht ar leabhair Ghaeilge a oireann d’aoisghrúpa agus do chumas léitheoireachta an pháiste. ** Bronnfar teastais léitheoireachta speisialta ar gach páiste atá páirteach sa scéim léitheoireachta ag ócáid speisialta roimh dheireadh na bliana agus beidh duais speisialta (an ríomhléitheoir Amazon Kindle) ag dul don dhá léirmheas is fearr ar fad agus déanfar iad a chraoladh le cur ar an Idirlíon. Tá Comhar Creidmheasa Naomh Breandáin (le deimhniú) ag déanamh urraíocht ar cheann de na ríomhléitheoirí Amazon Kindle. This is a special reading in Irish challenge organised by Gaeilge Locha Riach in conjunction with Loughrea Library* to coincide with the 2013 Summer Reading Challenge. This challenged is aimed at the 5–12 age group. The challenge for children is to read four books in Irish over June, July and August and to complete a written review of each book read. Younger children can draw a picture based on the book read. Entries (reviews) will be accepted up to the 31st of August. The library staff will hand out a Review Form with each book and will advise regarding books suited to each child’s ability. ** Each participating child will be awarded a special certificate of achievement at a special award ceremony before the year is out and a special prize (Amazon Kindle e-reader) will be awarded for the best two reviews which will also be recorded live for the Internet. Naomh Breandáin Credit Union are sponsoring one of the Amazon Kindle e-readers (tbc). *Tá leabharlanna eile in Oirthear na Gaillimhe in ann leabhair Ghaeilge a fháil duit ach iad a iarraidh. Tarlaíonn sé go bhfuil an leabharlannaí agus a foireann i Leabharlann Bhaile Locha Riach iontach cabhrach i dtacú le páistí atá ag léamh i rith an tsamhraidh agus tugann siad cuidiú is spreagadh do na paistí leabhair Ghaeilge a roghnú. Tá Leabharlann Ghráig na Muilte Iarainn an-chabhrach fosta. Take out books from any of the East Galway libraries or contact the office for advice on how to join in. The librarian and staff in Loughrea Library are particularily proactive in helping children participate and choose books in Irish. Woodford Library equally so. **Iarr aon leabhar Gaeilge nach bhfuil ar fáil sa leabharlann ar Ghaeilge Locha Riach. If there’s a book you want in particular which cannot be found/ordered in your library please come to Gaeilge Locha Riach.